Posted by Wairimu in Banting Diet, food, What's cooking? A friend of mine got me a cookbook for my birthday. It is always an appropriate gift for a food lover like me. I flipped through it when I got it, so excited to cook from it but I never actually read it from the beginning. Yes, sometimes I just read cookbooks the way you would read a novel! 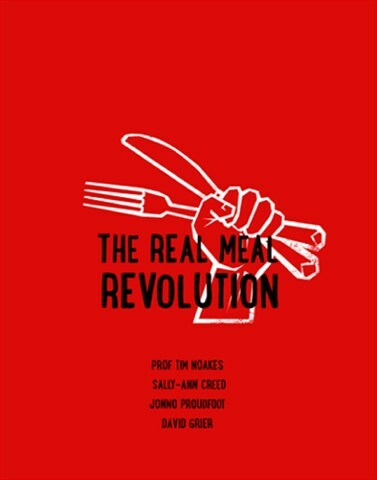 Last Sunday, nursing a hangover sent by lucifer himself; I lay on the couch and read The Real Meal Revolution. It is written by four authors including Prof. Tim Noakes. The book is based on a Low Carb-High fat diet. Also known as the Banting diet, it basically says that fat is good, carbs not so good! I am definitely going to struggle with this one, I just know it! But I am willing to try… this muffin top will not lose itself! Anything that says I can indulge in fat, is right up my alley! I’ve had to take every kind of carb out of my diet, the sugar as well. I use Stevia as a substitute, which is fine because I don’t usually take that much sugar! Hard part will be battling the cravings for chocolate and chips! I don’t know if I will cut the carbs and sweets permanently. I know myself and that just won’t work; so maybe just cut down my intake eventually… It is only the beginning so we shall see what happens! This recipe is for breakfast. The original uses kale instead of spinach(that is sukuma wiki for my Kenyan folk) but you can use either. I also measured out my ingredients for one instead of four, but I will give you a recipe for four because you must share! 1. Warm the butter in a heavy-based pan with a lid. Gently fry the chorizo in the butter until it turns golden brown. 2. Remove the chorizo but keep all the fat and butter in the pan. 3. Crank up the heat to high and fry the kale/spinach in the fat until it begins to wilt. 4. Pour in the water and allow it to boil ferociously until it is almost fully reduced. 5. Shape the kale/spinach into a nest in the pan and crack in eggs on top. Cover and cook gently for three minutes. 6. When you remove the lid, the eggs should be opaque. Slide the kale off the pan and garnish with the crispy chorizo. 7. Pour over any excess juices from the pan. I was so tempted to have this with slice of toast, but I didn’t! 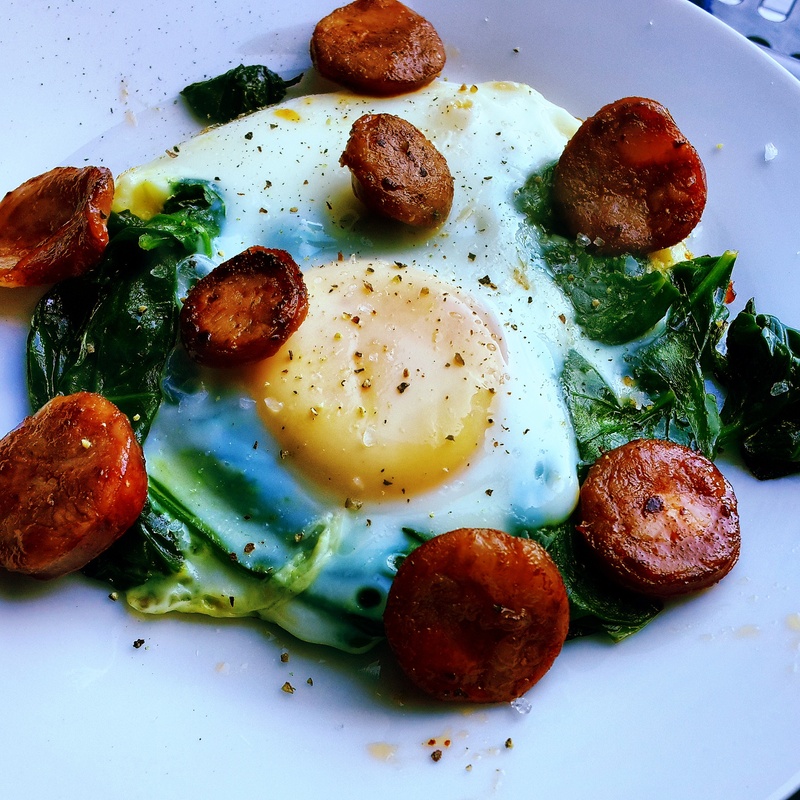 The salt in the chorizo works so well with the spinach, and the creaminess of the egg too. Best breakfast ever. So here is to an interesting journey ahead. I am definitely going to enjoy this one and keep you posted along the way!